5 great hotels in Munich | UNIGLOBE Direct Travel Ltd.
Don't sweat it looking for great places to stay during your tour of the German city of Munich. I have done the research for you and the only thing left is for you to book into one of the following hotels and have the best holiday ever. 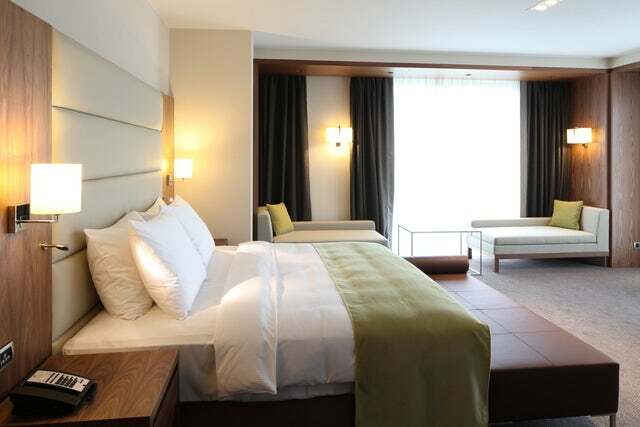 For US$234 per night, you can have the Superior Room that features 1 King Bed in this hotel. If elegance can be put into words, i would put it down for you but unfortunately, only the discerning eye that can see the effort that is put into making your stay in this hotel comfortable. Of all the great hotels that I know in Munich, Le Meridien is the cheapest at US$150 per night. The hotel is located directly opposite the Munich's train station and about 500 meters from old town and Theresienwiese. It is most popular for its full service spa that features indoor pool, sauna, and a health club. This hotel is one of the most expensive Munich hotels with its cheapest room going for US$333. However, you will get more than your money's worth for the hotel is a walking distance from State Collection of Antiquities, Old Pinakothek, and Pinakothek der Moderne. It features an indoor pool, a full serviced spa and a bar. The cheapest room at this hotel goes for US$299 per night and this is why you should expect great service from the hotel staff. The hotel is close to Karlsplatz - Stachus, Marienplatz, and Asamkirche. It is the second best conferencing hotel in Munich. This is by far the best hotel in Munich. Its customer care is fantastic, its rooms are fit for royalty, its culinary genius is unrivaled in Germany and it is strategically located. For these services, you will pay top dollar with the cheapest room going for US$423. It is located amidst the high-end shopping district Maximilianstrasse and is about 500 meters from Marienplatz, the National Theater, and the English Garden. It has the best conferencing facilities in Munich, and perhaps in Germany. Now that you know where to stay during your tour of Munich, concentrate on getting money to fund your tour and then book the hotel early to avoid last minute rush.